THREE COMPLETE NOVELS, ONE MEGABOOK SERIES! 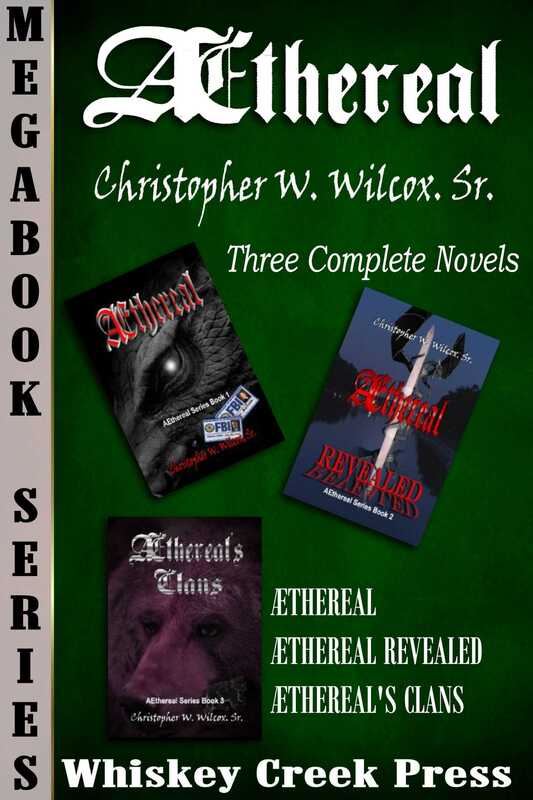 The first three novels in the epic science fiction/fantasy series from Bestselling author Christopher W Wilcox Sr., including: Aethereal: The investigation of a series of mysterious terrorist bombings leads Special Agents Judy Deavers and Eric Johansson into a secret world where myth and reality collide. What they discover is so explosive that it could tear the very fabric of the civilized world apart. The ultimate fate of humanity is in the balance and it is a race against time to stop the last clock from ticking down. Aethereal Revealed: "We are not now, nor have we ever been, alone on this planet." With those words, the President of the United States reveals to the world the existence of the Æthereal, the nearly immortal beings who serve as guardians against the Gray menace. Is humanity ready to share their world with real fire-breathing dragons? For many normal humans like Danny Trasker, their lives are turned upside down as they become partners with the Guardians. For terrorists, the revelation of the Æthereals is a call for jihad. Aethereal's Clans: Spyder, the irreverent cyberpunk turned Head of the Guardian Science Support Staff, finds himself the de facto ambassador to the Ursars, a race of twenty-foot tall, telepathic and telekinetic purple bears. Forming unbreakable bonds with Korin, son of the Clan Father, Spyder soon finds there are some things that are worth more than your own life. Family, friends, and Clan, Spyder risks them all in a life-or-death struggle against the marauding Grays. GET THE COMPLETE FIRST THREE BOOKS OF THE SERIES IN THIS MEGABOOK RELEASE!